If you’ve been thinking about applying for an editorial internship at Peachtree, then this post is just for you! Each spring, summer, and fall Peachtree offers an exciting opportunity for college students and graduates to get a hands-on, inside look at the publishing industry. The benefits of interning in the editorial department of an independent publisher like Peachtree are through the roof! So if you’re looking to break into the industry, an internship is a great start. Here’s a breakdown of the daily tasks involved, written by a past intern. 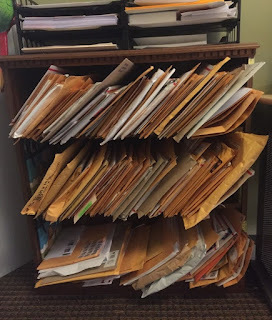 Each morning as you enter the building, you’ll stop by the receptionist desk and gather a pile of mail that’s been date-stamped and sorted as unsolicited material. 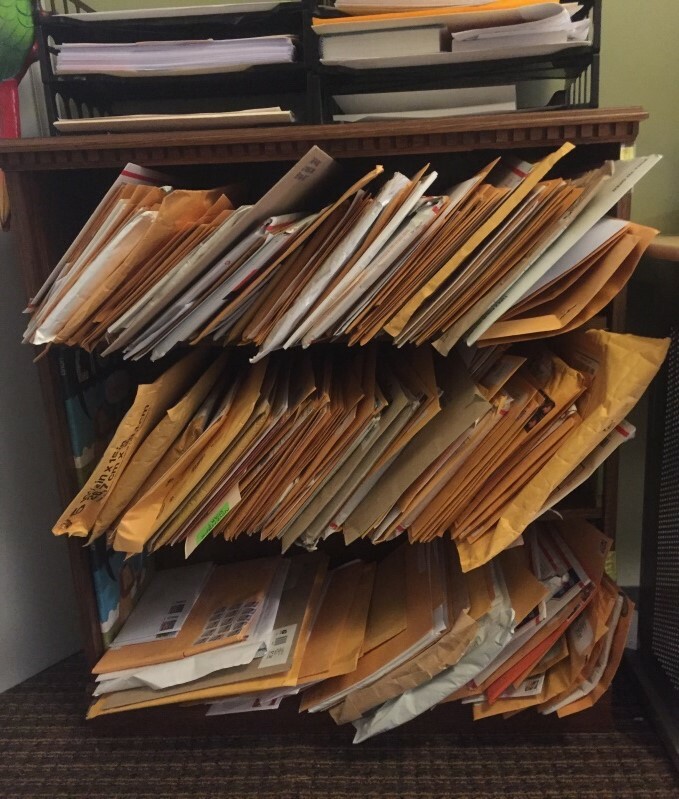 Peachtree accepts unsolicited submissions, and when senior staff is busy with other projects, it’s the editorial intern’s job to help out in processing these submissions. When you haven’t been assigned any other projects, this will be your primary responsibility. 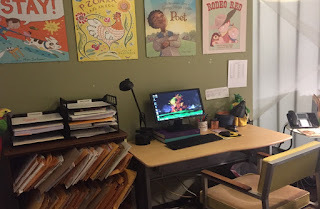 After settling into your cozy desk space, you’ll file these submissions in order of material received. There’s a lovely bookshelf near your desk to place these submissions. This is the slush pile. Older submissions are reviewed first while the newer material is placed at the bottom. Consider the evaluation of slush the training ground in developing your personal taste as an editor. This is the area where you get to exercise your knowledge of the market and your comprehension of skilled writing. There’s a certain kind of fun in opening slush, because you never know what you’re going to get! Accept this opportunity for what it is: an invitation to demonstrate to senior staff that you’re capable of reviewing content through a lens that’s beneficial to Peachtree. If you’re impressed with the material and think it might benefit Peachtree to take a closer look, you’ll mark the title in a slush log as “consider.” To consider material, you’ll complete a reader’s report which walks through some important questions, such as: are the characters well-developed? Is the plot well-structured? Does the author seem like they’ll be a good collaborator? A detailed template is provided to interns to help them evaulate. Following that, you’ll pass the material to the other interns in the office and receive their feedback. These responses are crucial to the success of your selection, so be sure to carefully consider everybody’s input. If you’re still feeling confident about the piece, you’ll present your selection at a mock acquisitions meeting alongside the other interns. Editorial staff will be moderating the mock acquisitions meeting, so this is your time to shine and show off all your fabulous pitching skills! You’ll be acting as the advocate for the manuscript, so it’s up to you to get everyone else on board. Creativity and thinking outside the box can be very beneficial here. If your selection passes a vote, you’ll prepare a memo and pass the manuscript onto senior staff who will review it further. In addition to reviewing unsolicited material that arrives in the mail, you may also be presented with the opportunity of reviewing potential import acquisitions. Import manuscripts have already been published in another country and are being considered for acquisition in the U.S.
As an intern, you’ll provide a reader’s report on the material and offer a recommendation to pass or consider. Imports can be brought to your mock acquisitions meeting, too, so read carefully. The reader’s report you compose may be formal or informal depending on the preference of the senior staff who tasked you with reading imports. An informal report may be a list of bulleted thoughts while a formal report will need to answer some specific questions from a provided template. Each time you write a reader’s report, you’re sharpening your skills in identifying quality material. Your task here is fairly straightforward—clean up the copy using house style guidelines without compromising authorial voice. Offer diplomatic queries for any significant changes. The material you proofread will vary. It could be a manuscript in-progress, a kindle file, a seasonal catalog, marketing materials, teacher’s guides, and any other material requiring a fresh set of eyes. 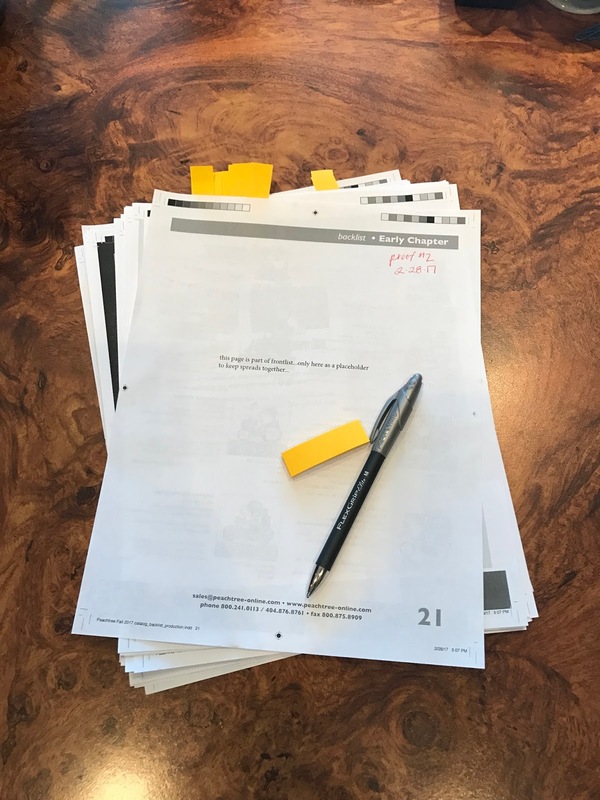 You may even be asked to do a blue lines checklist—an important last look at the manuscript before it heads off to be printed. Proofreading requires a special kind of patience and a learned eye, but it’s always deeply gratifying when you catch an error and valiantly defend the house style with the stroke of a pen or touch of a key! From time-to-time, you may also be asked to perform some research. It’s imperative to demonstrate not only an ability to collect data, but an aptitude for critically interpreting the information gathered. This request could come from anyone and your role as a researcher could significantly benefit Peachtree, especially if you happen to spot an oversight in a manuscript during a fact check. Even an intern can catch and prevent costly errors before books go to the printer! Never underestimate the power of paying close attention to detail. Additional research may involve gathering a list of comparative titles for projects being acquired. This is a great way to familiarize yourself with competitors and gauge whether or not the considered material could perform well based on current or former trends. Generally, you’re looking for content that’s similar to the manuscript being considered and usually within the last five years—sometimes ten years if it’s not a well-covered topic. Of course there are plenty of other responsibilities to keep you busy, too. Accepting phone calls from anyone inquiring about the publishing business is a fantastic way to build your interpersonal phone skills—friendliness and speaking with a smile on your face goes a long way. Just imagine if you were working the receptionist desk and somebody from the New York Times called to inform you one of Peachtree’s titles has been selected for a prestigious award! Professionalism in phone manners is crucial to maintaining industry relationships and creates a positive impression for anyone calling to do business. As Peachtree is a smaller publisher, you’ll have a chance to help out in the on-site warehouse once a week. Handling the inventory and verifying customer orders provides a tangible understanding of the business side of publishing. Not all interns in the publishing business get to see this side of the industry, so take advantage of this hands-on experience. And let’s not forget trend reports! Reading and submitting publishing trend reports from Publishers Weekly, Booklist, and Kirkus builds an understanding of the market at-large and is a great excuse to absorb some intelligent advice from the articles inside. A cover-to-cover careful reading, accompanied with a long-hand outline that’s e-mailed to the whole office, ensures that you’re staying in the industry loop. Other special tasks may be assigned as needed, so diligence and flexibility are key traits to have. There’s definitely no shortage of learning opportunities from the meetings you may be invited to attend. A good amount of information can be gathered by observing senior staff. Not only will you learn some cool details about how the publishing industry works, but you’ll be introduced to the dynamics of how the Peachtree team operates. These are valuable moments to study and model your own professional behavior. Your primary role during these meetings is to be a fly on the wall, but you never know when you’ll be asked to participate in the conversation. Be sure you’ve reviewed the material that’s up for discussion. It also doesn’t hurt to have a number of talking points prepared—just in case. Types of meetings you may be invited to could include: potential illustrator discussions, monthly acquisition reviews, and spring/fall presentation and launch strategy meetings. Finally, Lunch & Learns are a very special resource that Peachtree provides to its interns. These are lunchtime meetings where a senior staff member discusses their role in the company and presents an overview of their department’s inner workings. The presenter could be someone from editorial, marketing, production, sales, or the art department. These are truly golden opportunities to hear from experienced professionals. Interning for a smaller publisher like Peachtree definitely has its benefits. The close proximity of each department allows for greater collaboration and sharing of ideas, and Peachtree’s staff is among the friendliest in the industry. The professional connections you make at Peachtree don’t end when the internship is over—they last you a lifetime. There’s plenty of skills to be gained and plenty of opportunities to sharpen the ones you already have. Whether you’re answering the phone or sharing feedback on next season’s lead title, your work as an editorial intern provides a significant contribution to the Peachtree team. 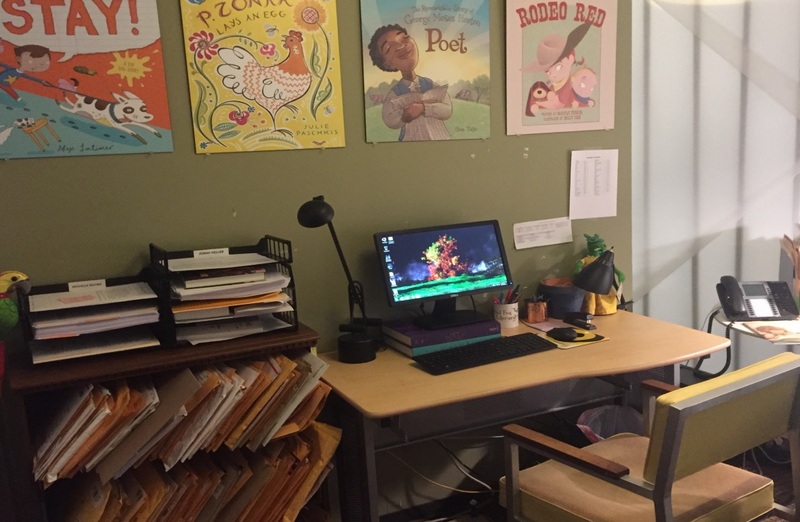 So, if you’re a talented hard worker looking for a place to shine and demonstrate your experience with children’s literature, an editorial internship could be right for you. The online application is easy to use, so why not get started and apply today. Don’t forget to include a review of a recently published children’s or young adult book! Interested in hearing more? Read "Behind the Scenes of a Publicity & Marketing Internship"